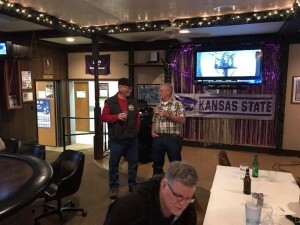 On Saturday, January 26, 2019 the American Legion in Manhattan, KS had very important guest. 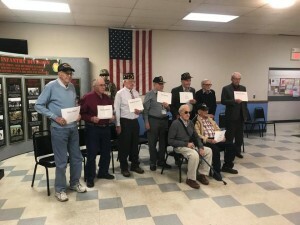 Eight WWII Veterans were in attendance to commemorate 74 years since the end of the Battle of the Bulge. The veterans ranged from 93 to 100 years old. During the event several of the veterans told stories about what it was like during the battle. The American Legion Riders served lunch to the veterans, their family and guest. 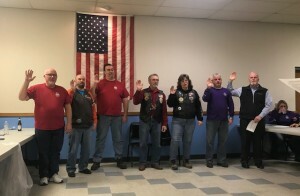 On January 8th, our newly elected American Legion Rider officers were sworn in for 2019. Thank you to everyone who volunteered for these positions. 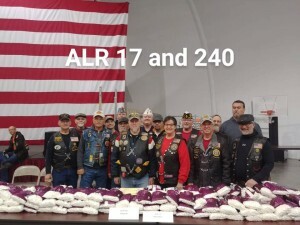 On November 17th the American Legion Riders participated in the annual Fort Riley Turkey Run. There was enough food donated to serve 600 complete turkey dinners to Fort Riley families. We just had our annual fall party for the American Legion Riders. The last 5 or 6 years we have had the party at Keith and Sandy’s home, but this year the weather wasn’t cooperating. 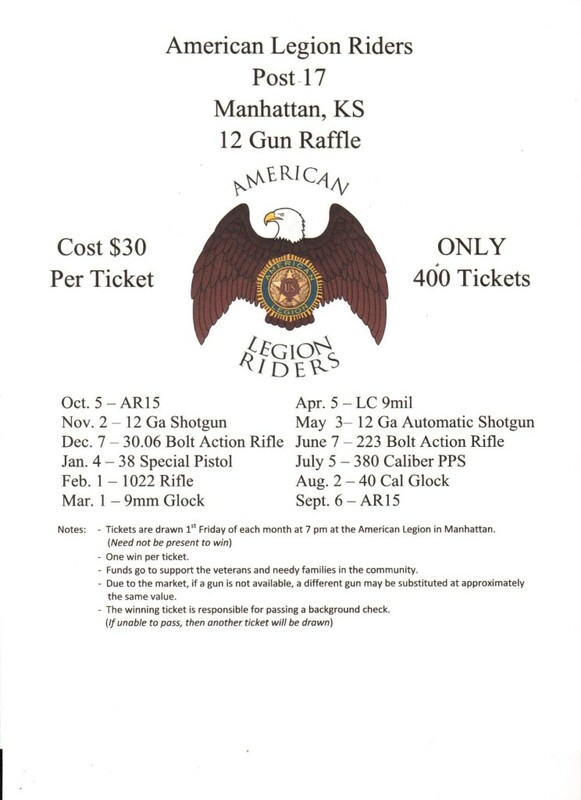 If you would like to purchase a raffle ticket, please contact American Legion Post 17 at (785) 776-4556. Only 400 tickets will be sold. Don’t wait…..get yours today. 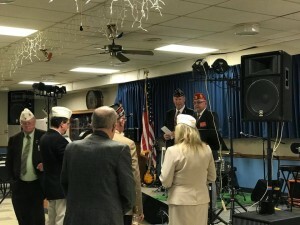 The Mid Winter Forum was held at the American Legion Post 17 from February 2-4. The American Legion riders were responsible for purchasing, preparing and serving all our guest for the three days. That included two breakfast meals, one lunch meal and two dinner meals. 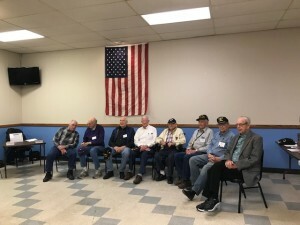 On Saturday, January 27, 2018, we had nine veterans from Kansas who were involved in the “Battle Of The Bulge“. We have hosted this event for several years now. The Battle of the Bulge was from December 16, 1945 until January 25, 1945. It was the last major German offensive campaign on the Western Front during World War II. You never get tired of listening to the veterans stories. They have experienced things you could never imagine. Some stories are really funny, but there are also so many sad stories. It is especially interesting to hear these stories from the veterans themselves. 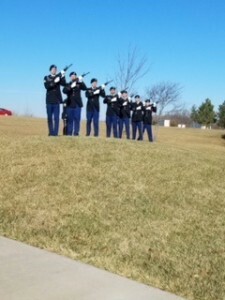 The “Wreaths Across America” ceremony was at the Fort Riley cemetery on Saturday, December 16, 2017. Wreaths are placed on every military gravesites. Another ALR Christmas party in the books. 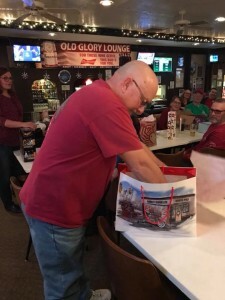 We had a “white elephant” type party. Its a lot of fun snatching presents from each other. Some of the presents got snatched up a couple of times and that makes for an exciting time. The rule is after a gift has been snatched three times, it stays with that person. It is a cold November day in Manhattan, Ks…..29 degrees. 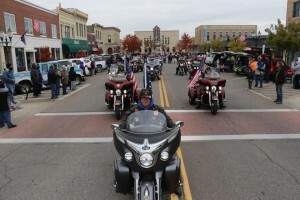 The cold weather won’t stop the American Legion Riders from participating in the Veteran’s Day Parade. The riders group is comprised of active duty veterans, retired veterans, spouses of veterans, sons and daughters of veterans.